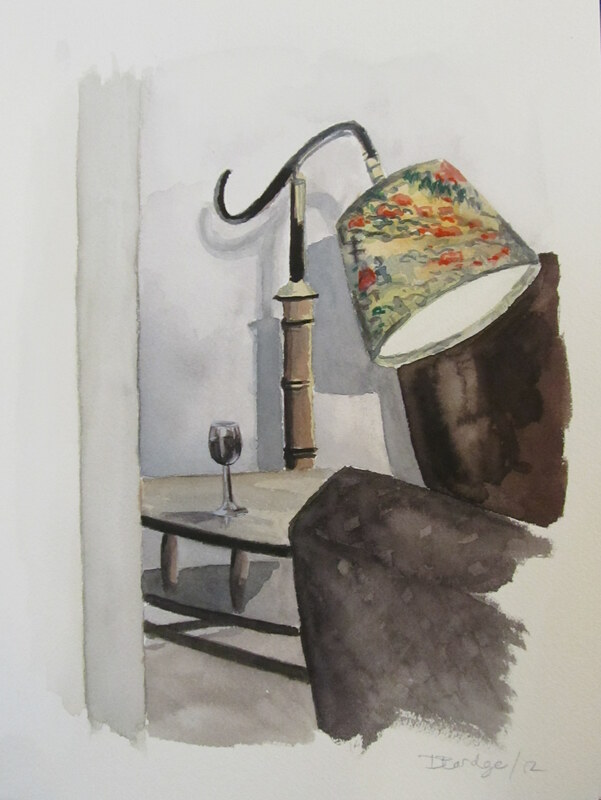 Watercolour Wednesday — Living room at night. Last night I painted the corner of my living room. I added the wine glass in as an afterthought which is a bit funny since I had decided to do a room study because I had wearied a bit of doing the still life paintings. ← Watercolour Wednesday — Painting water and paint tubes. That little corner looks so cozy. The floral lampshade adds that touch of color amongst the brown tones making it the focus of the painting. Very nice! Oops, missed this comment—Thanks Marie!